Showing 50 articles from May 2, 2018. LOUISBURG -- If Franklin County were to fund all of its requests -- and pull no money from fund balance -- taxpayers would be looking at a more than 16.5 cents per $100 tax increase. During a budget session on Monday night, commissioners said they would use public work sessions and, when necessary, private meetings with management and staff between now and June 30 to figure out every way to prevent that. LOUISBURG -- Early voting numbers have been low, but even if interest doesn't pique by Tuesday, election day will decide three races on the Board of Education. According to Board of Elections staff, by the end of early voting on Tuesday, 966 early ballots had been cast. "Early voting started slow," said Board of Elections Director Lisa Goswick, "but activity has picked up some this week." WHAT MAKES A JUDGE? 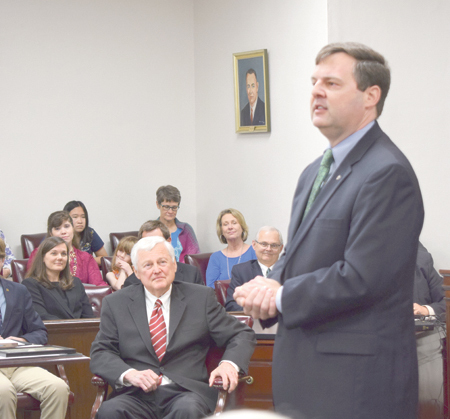 Dr. Lacy Hobgood, Judge Hobgood\'s son, talks about the special qualities of his father who is seated to the left in this photo. 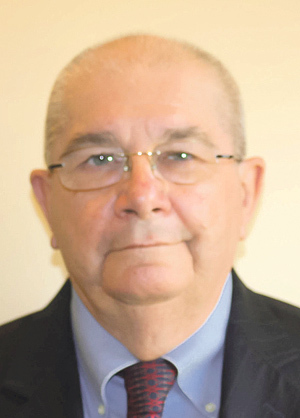 LOUISBURG -- Judge Robert Hobgood has overseen some of the biggest cases in the state. In 2014, he oversaw the case that challenged teacher tenure. He was the judge in 2015 that ultimately had disgraced District Attorney Tracey Cline removed from office. She replaces Senior Resident Superior Court Judge, Robert H. Hobgood, who is retiring. 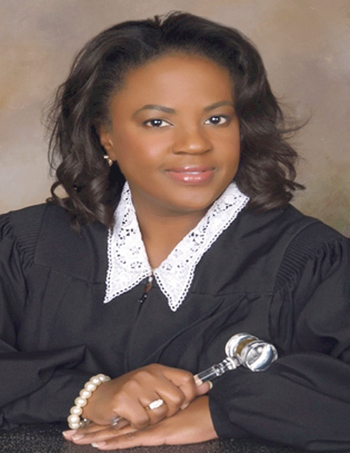 Her swearing in is slated for today (May 3) at 3 p.m. at the Granville County Superior Courtroom. 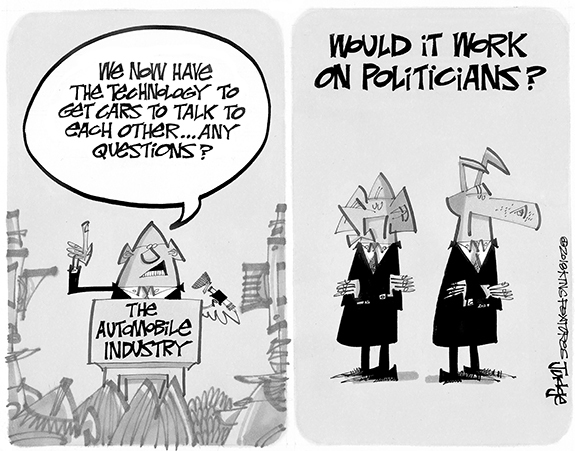 Officials have enough 'sticks,' but won't use them! Representatives of that group visited the most recent meeting of the Northeast Franklin County group that is working to improve the local economy and one goal is better, faster Internet service. If an alien from another galaxy flew his space craft low over the Bunn High School football field last Friday evening between 6 p.m. and midnight, he would have seen quite a spectacle. It looked like a giant party with a whole lot of folks gathered together to have fun, enjoy the fellowship of others and eat some excellent food. 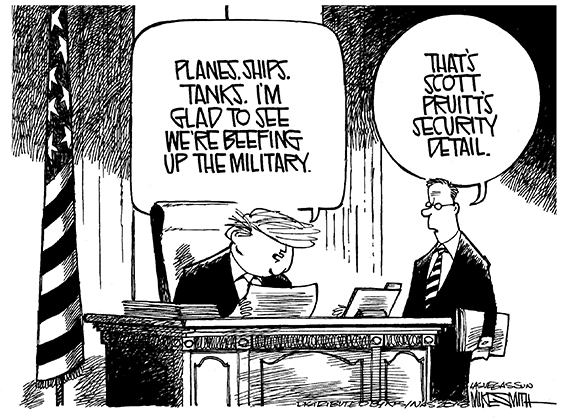 That would have been about half the story -- actually, maybe not even half the story. It happens every year about this time: budget work sessions. And, every year, the rhetoric is the same -- no new taxes. It's a popular refrain and that's because it's effective. I, like most people, am not real keen on spending more money. NASHVILLE--Funeral services for Erma L. Cooper, 85, who died Sunday, April 29, 2018, will be held Friday, May 4, at 1 p.m. at Union Hill Baptist Church in Nashville, with the Rev. Sidney Dunston officiating. Burial will follow in the Forest Hill Cemetery. ERVIN THOMAS "TOMMY" BEST, JR.
Born in Franklin County to the late Ervin and Ida Lucille Burnette Best, Tommy was also preceded in death by two sisters, Diane Rice and Sandra Lumbert. He graduated from Edward Best High School in 1968, where he was an outstanding athlete, and was retired from Tony Lumber Company in Louisburg. LOUISBURG--Funeral services for Linda Chavis, 68, who died Tuesday, May 1, 2018, will be held Tuesday, May 8, at 2 p.m. at Hickory Grove Baptist Church in Castalia, with Pastor Bobby Thomas officiating. Burial will follow in the church cemetery. WHIZ KID. Bunn High School's Maddie Driver makes a throw to first base during last Friday's road fast-pitch softball victory against Louisburg. 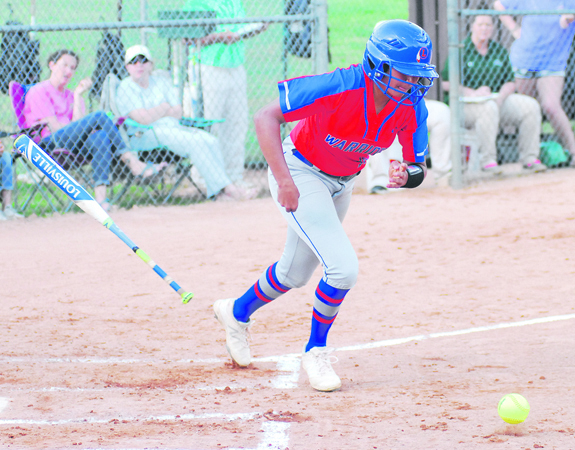 LOUISBURG -- Home didn't prove to be a happy place for Bunn and Louisburg during last week's Northern Carolina Conference rivalry softball series. Last Thursday, Louisburg opened the series by registering a 3-0 victory at Bunn behind a strong pitching performance from sophomore Laine Barefoot. 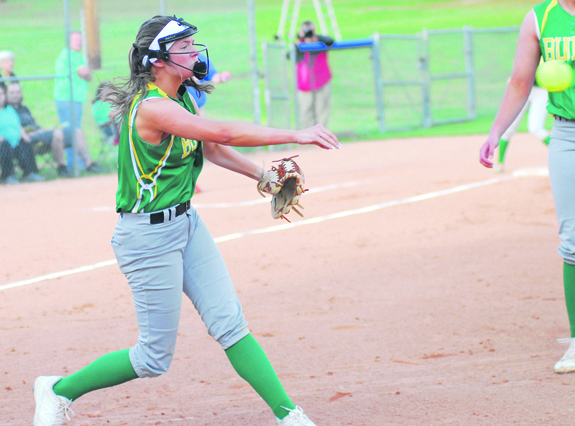 But Bunn returned the favor one day later at LHS with a 5-2 triumph as Caroline White went the distance on the hill. CALE IN THE CLUTCH. Louisburg High School's Cale Bolton lifts a fly ball during last Friday evening's home baseball showdown against Northern Carolina Conference opponent Bunn at Warrior Field. 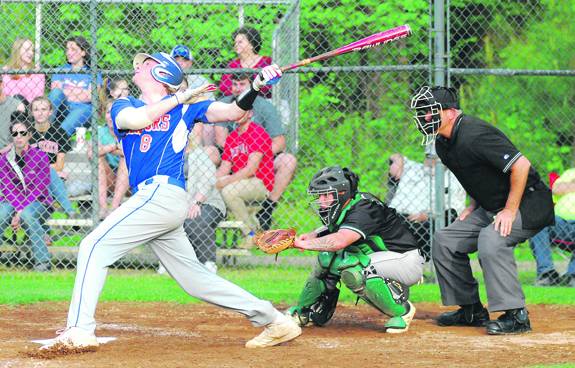 LOUISBURG -- For one of the few times in the rich history of the Louisburg-Bunn baseball rivalry, both cheering sections and dugouts were completely quiet as Christian Allen's line drive sliced down the right-field chalk. 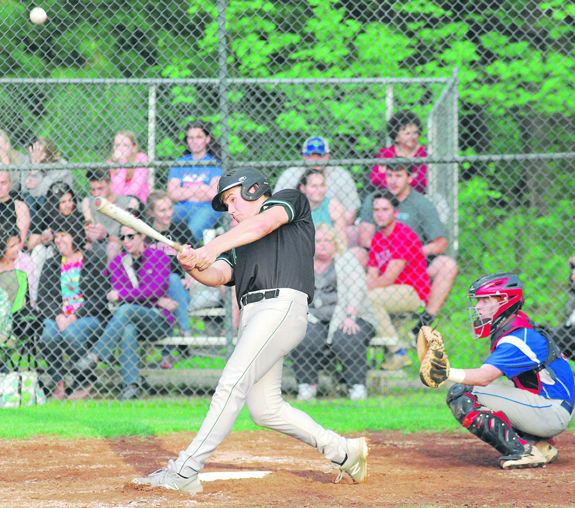 It was the bottom of the seventh inning, and Louisburg trailed by two runs, but had the bases load with two outs. 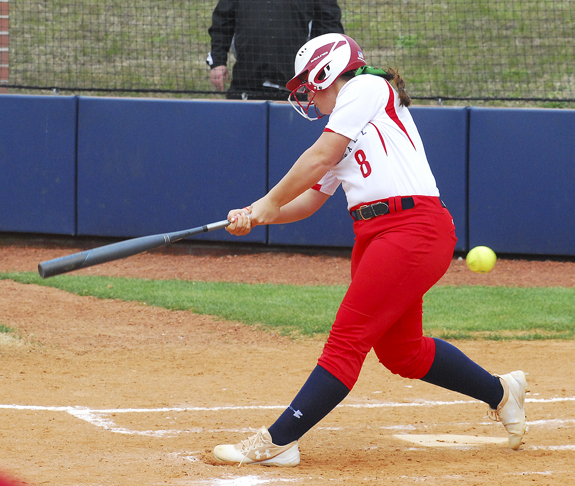 LOUISBURG -- Louisburg College never left a doubt as to which team was the best the entire campaign in the Region X softball standings. After winning the regular season portion of the league title, the Lady Hurricanes put a final stamp on their storybook year by winning the Region X Tournament last weekend at the University of South Carolina-Sumter. CHARLOTTE -- A long-time rivalry that dates back to middle school continued two weeks ago at the annual South Atlantic Conference Track and Field Championships. That's when long-time friendly foes Charity Snelling and Vanisha Wilshire squared off once again as part of the event on the campus of Johnson C. Smith University. IMPRESSIVE HARVEST. This turkey was one of four taken during a recent visit by the Combat Warriors to the area. FRANKLIN COUNTY -- The Pleasants Farmer Hunting Event was hosted by Fellowship Gun Club from April 20-22. Fourteen soldiers and veterans hunted with guides. 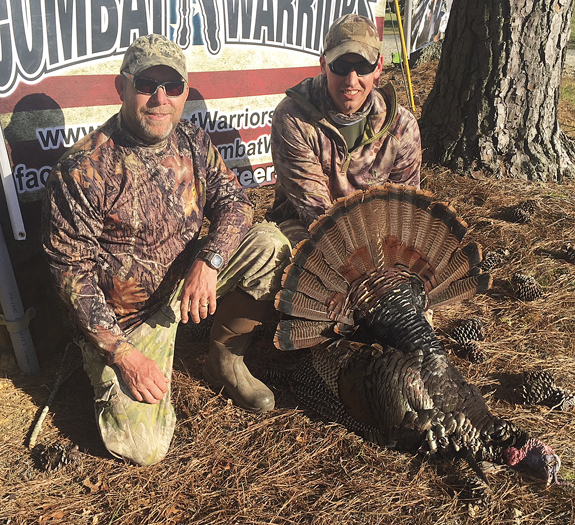 The first gobbler turkey was taken by Matt, a Marine stationed at Camp Lejeune. MERRY HILL -- Golf is a game of inches, or so the saying goes. 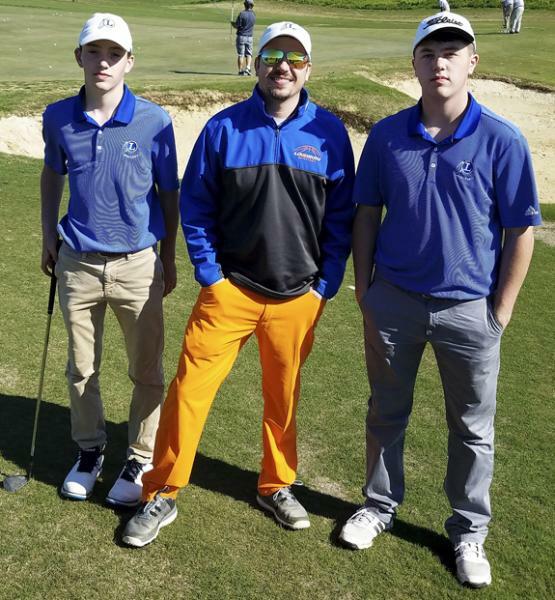 The adage proved true Monday at the NCHSAA Class 1-A East Regional at an Arnold Palmer-designed course called Scotch Hall Preserve. Brothers Riggan and John Allen Faulkner competed in the regional for Louisburg High School. ROCKY MOUNT -- Premier UK will be conducting a free soccer clinic at the Rocky Mount Sports Complex this Saturday. The session for players ages 7-10 will be from 5-6 pm and immediately followed by a session for players ages 11-14 from 6-7 p.m. Boys and girls of all skill levels are encouraged to come out. 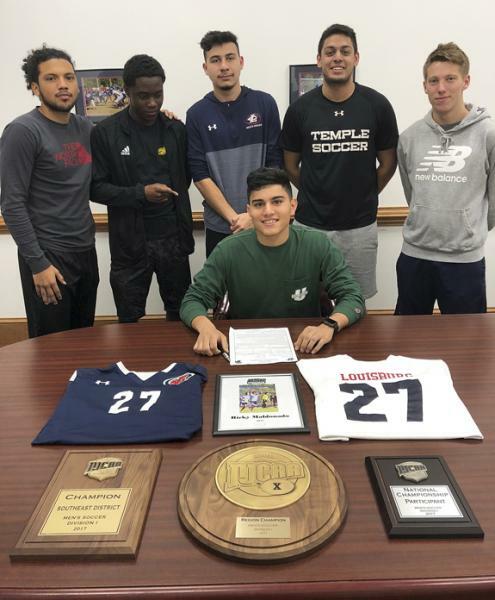 Louisburg College has a rich history of sending men's soccer players to the Division I four-year level, and that continued recently when Ricky Maldonado (seated) inked a letter-of-intent to continue his career at the University of South Carolina-Upstate. Maldonado, a midfielder, hails from Salisbury. He was joined at the signing ceremony by several of his Hurricanes' teammates. ROCKY MOUNT -- The Big East Conference Boys Tennis Tournament was staged last Wednesday and Thursday at the North Carolina Wesleyan College Courts. Rocky Mount's Tyler Brice was the top singles seed and lived up to that standard by defeating RM teammate Ben Osterhout 6-2, 6-0 in the championship match. Wilson Fike's Thomas Hodges and John Gliarmis, seeded second, edged No. 1 seed George Shannon and Landon Norwood from Rocky Mount to earn the conference doubles crown. MYRTLE BEACH, S.C. -- Keston Hiura hit a two-run home run in the second, Ryan Aguilar and Weston Wilson had ground rule doubles in the first, but reliever Chase Williams walked three in the ninth and gave up a walk-off hit to Jhonny Pereda as the Myrtle Beach Pelicans defeated the Carolina Mudcats 5-4 on Tuesday night in Myrtle Beach in a Class A Carolina League baseball meeting. 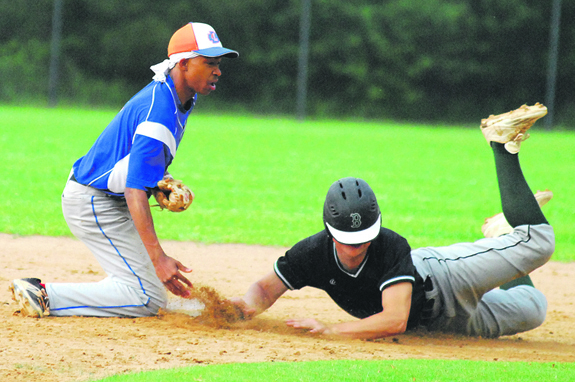 Louisburg High School's Jyquan Taylor (left) tags Bunn's Dylan Timberlake at second base during last Friday's diamond showdown at Warrior Field on the LHS campus. Bunn High School's Trent Simmons delivers a fly ball for the Wildcats during last Friday evening's Northern Carolina Conference baseball contest against host Louisburg. Louisburg High School's Kaylee Saunders lays down a bunt during last Friday evening's home softball meeting with conference opponent Bunn. 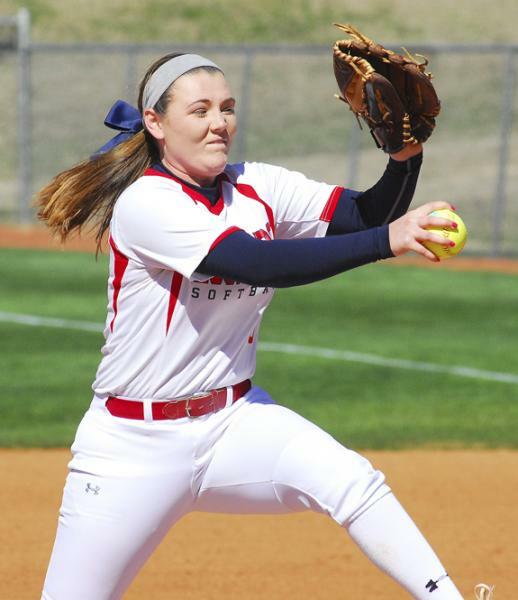 Louisburg High School alum Summer Phillips was exceptional as a freshman for Louisburg College -- and earned a spot on the All-Region X Softball Team. 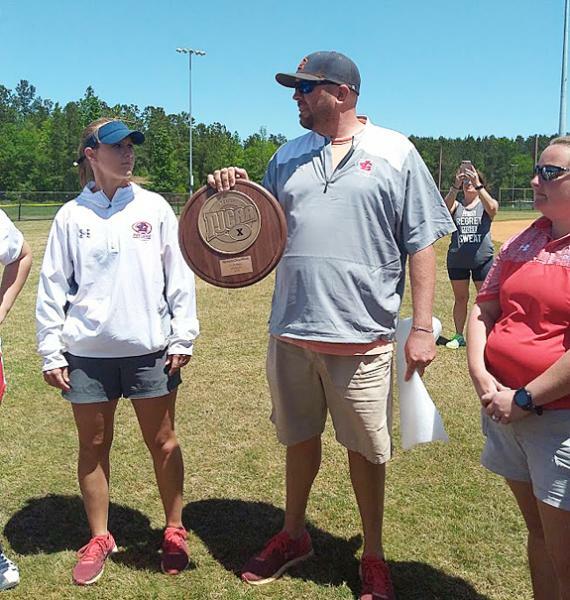 Louisburg College softball coach Eric Lee holds the Region X Tournament Championship plaque while addressing his players after the title contest last weekend. FIRST LAP FOR CANCER SURVIVORS. 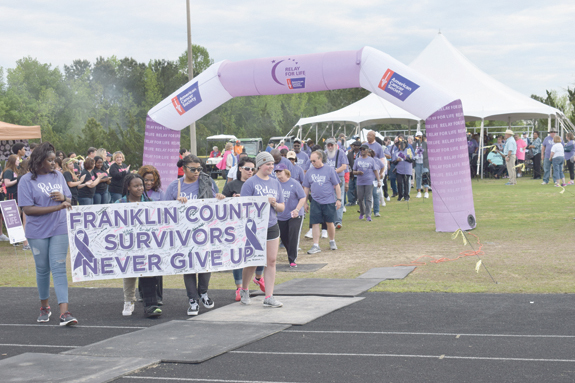 Franklin County Relay for Life was held, Friday, April 27, at Bunn High School. 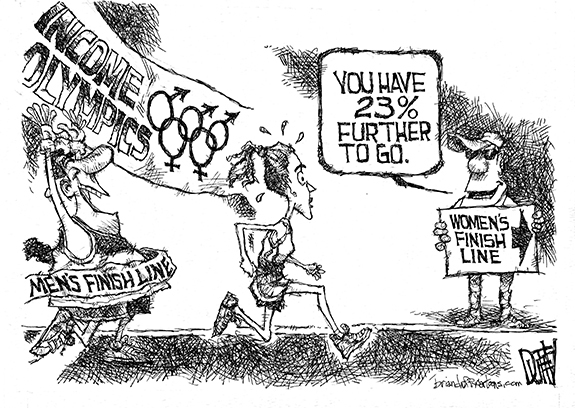 The first lap was for cancer survivors. The annual event raises money for the American Cancer Society. CAREGIVERS ARE SPECIAL. Relay for Life committee member Linda Frederickson handed out two caregiver awards. Pictured above are members of "Team Tony." Cancer survivor Tony Coley is in remission after a stem-cell transplant. His wife, Lacy, accepted the award, along with several family members. Below, White Level Baptist Church had shirts made in memory of Glenn Leonard, who lost his battle with cancer in January of this year. His widow, Amy Leonard, and family accepted the second caregiver award. "AARGH YOU READY FOR A CURE?" This year's Relay event was pirate-themed. 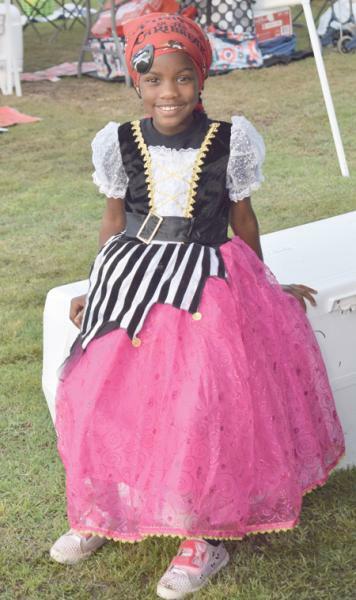 Pictured above is the winner of the costume contest, Zahra Cheatham, of Knightdale. 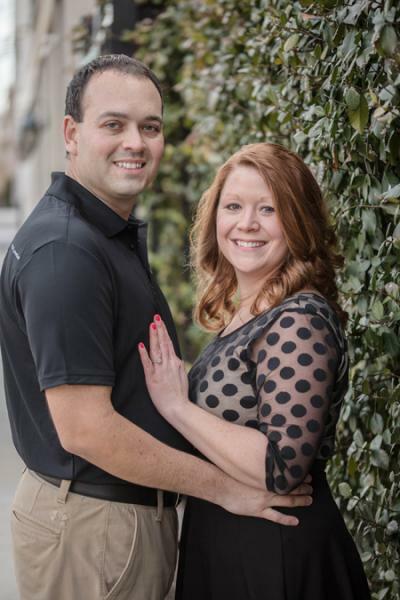 Jay and Staley Medlin of Louisburg and Lynda and Michael Smith of Sylvania, Ga., announce the engagement of their daughter, Stephanie Lynn Medlin of Myrtle Beach, S.C., to Christopher Ryan Sparks of Myrtle Beach. He is the son of Joe and Kathy Sparks of Myrtle Beach. The wedding will take place on Aug. 3, 2018 at Myrtle Beach. 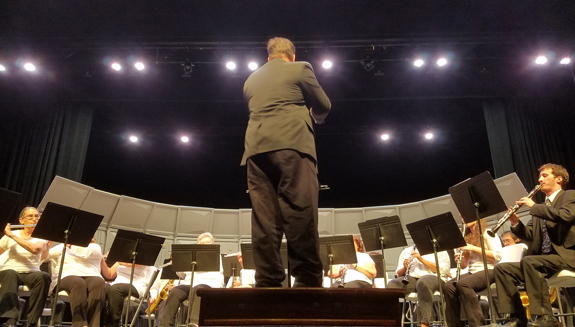 HENDERSON -- Variety will be the key as the Vance-Granville Community Band, under the direction of Brian D. Miller, performs its annual Spring Concert at 7:30 p.m. Monday, May 7, in McGregor Hall in Henderson. Admission is free. 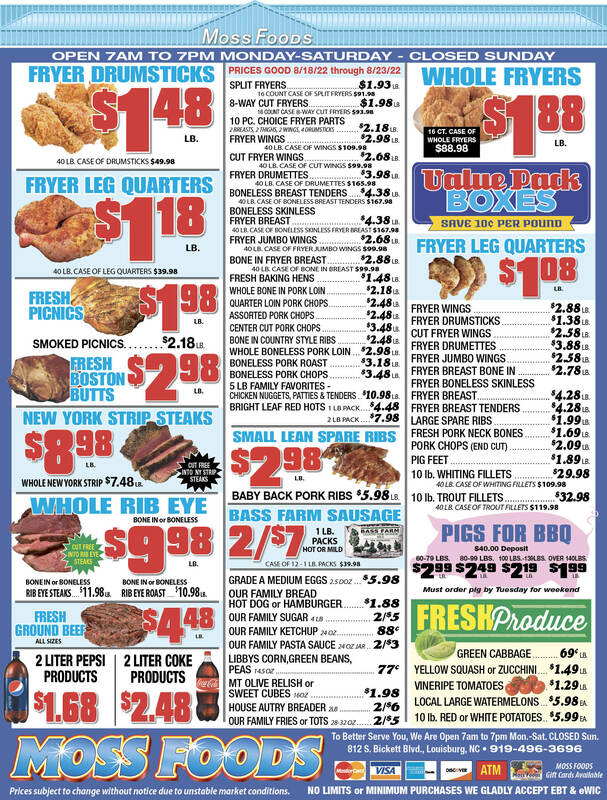 Show tunes, marches and some classics are on the program in the McGregor location at 201 Breckenridge Street. What do horses racing in Kentucky have to do with children getting a better education here in Franklin County? In about a year and a half, the group has raised some $90,000 and given it back to teachers and the public school system. 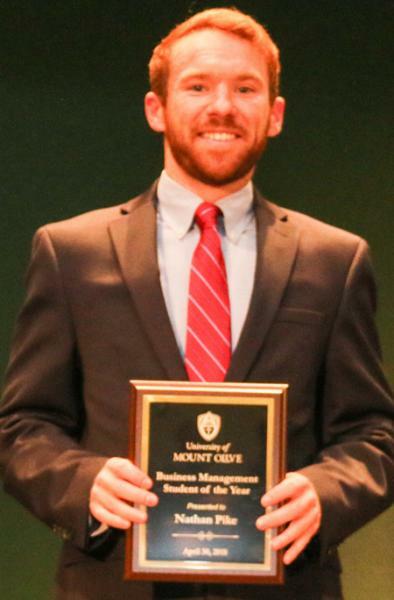 MOUNT OLIVE -- A Franklin County student was recognized for his achievements at the University of Mount Olive's Annual Awards Ceremony. Nathan Pike of Youngsville received the Business Management Student of the Year Award. Pike is a senior business management major. The Business Management Student of the Year is awarded to a senior with a minimum GPA of 3.0. LOUISBURG -- Franklin County sheriff's deputies arrested the second suspect in an armed robbery outside a Louisburg eatery. Louisburg Police Chief Jason Abbott said Terrell L. Wilkins and Jalen Wilkins went to the Waffle House parking lot on Bickett Boulevard just after midnight on April 27 to meet up with two people to buy some clothes. 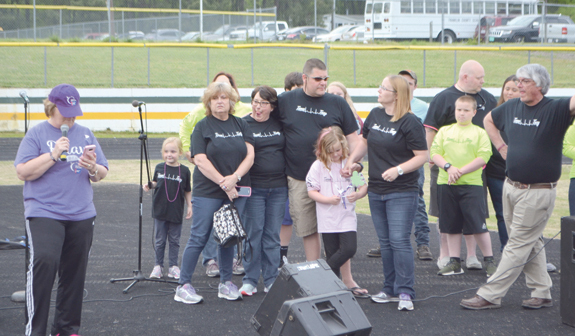 FRANKLINTON -- Franklinton police and the the Community Watch Group hosted Stand Against Crime block parties throughout the town last week, signaling to criminals that neither police nor its residents will tolerate criminal activity. 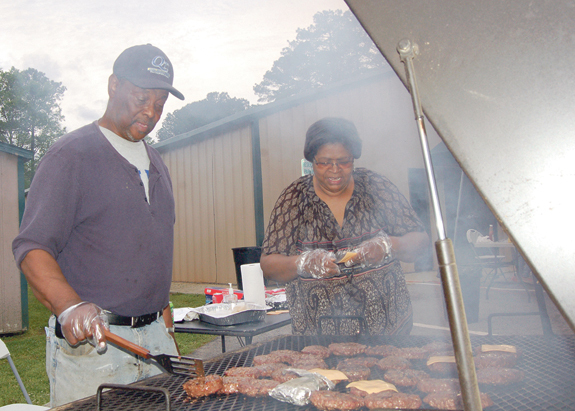 Above, William Muldrow mans the grill and prepares some hamburgers and cheeseburgers for those who visited Union View Baptist Church during the event on April 26, including Wilma Davis. LOUISBURG -- The Franklin County Board of Elections has filled its ranks, but the appointment will require a change in leadership for the county's Republican Party. 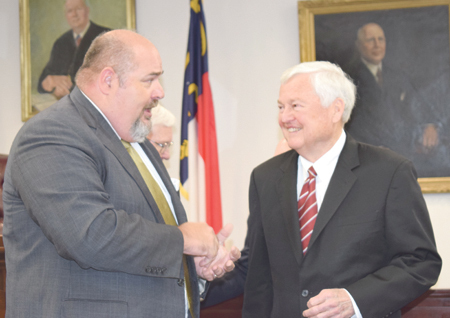 Larry Tucker was appointed to the board on Tuesday, filling out the four-person board that now includes Republican Party representatives Tucker and Harry Barrick, and Democratic Party representatives Sonravea Privette and Andrew Beal. BUNN -- Authorities seized a BB gun from a student and law enforcement is determining whether charges will be pursued. According to authorities, a student at Bunn Elementary School reported to a teacher that another student had the gun at school on Tuesday morning. Franklin County Sheriff's Office Chief of Staff Terry Wright said the teacher and principal searched the bag and recovered an unloaded BB gun. LOUISBURG -- Police arrested a man they allege fired a gun in the heart of town. Police responded to a call of shots being fired in the 200 block of Mineral Springs Road on April 27. When they arrived, the located Stewart Williams who admitted to firing a 32-caliber revolver into the air. LOUISBURG -- A Louisburg man is facing gun charges after he attempted to flee from authorities. According to authorities, Officer J. Steinbrunner attempted to stop a car in the area of West River Road for potential vehicle violations. The driver, later identified as Jekiva Gupton, didn't immediately stop, driving another two miles before pulling over. LOUISBURG -- The Franklin County Health Department will be participating in a regional Community Health Needs Assessment (CHNA) process. The community health assessment helps the department with gathering data directly from the community, health department staff said. The data will help community partners with planning programs that impact the health and wellness of county residents. 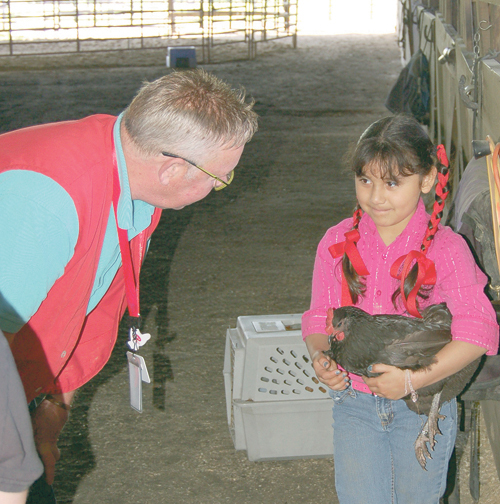 Daniela Dominguez shares poultry knowledge with judge Dan Campeau. 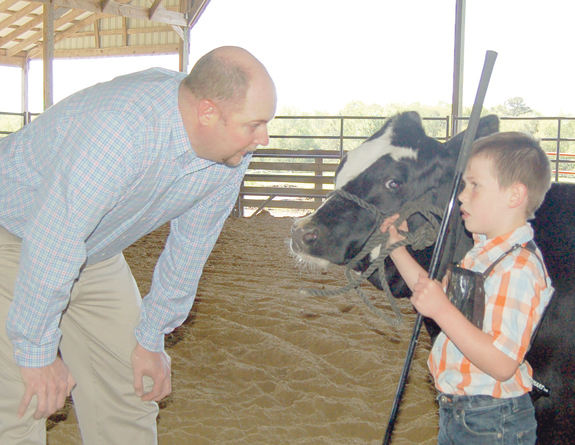 Grayson Blankenship talks cow with judge Brent Jennings. 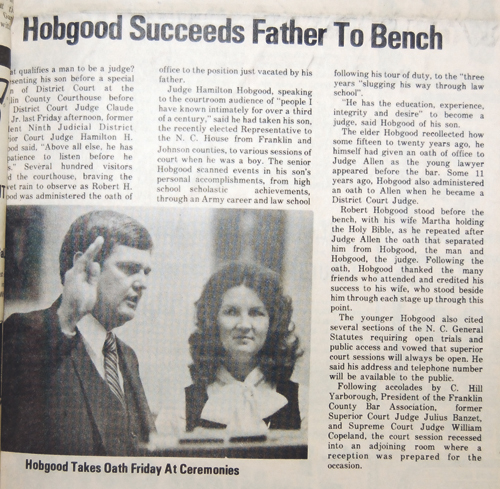 Judge Robert Hobgood's swearing-in ceremony made news in this 1980 edition of The Franklin Times. During his swearing-in, retirement, and all points in between, his wife, Martha Hobgood, was at his side. 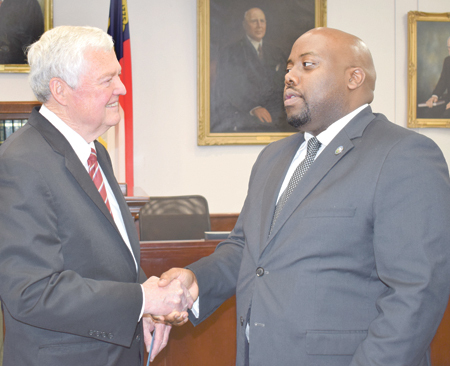 Judge Marion Warren, left, director of the North Carolina Administrative Office of the Courts, congratulates Judge Robert Hobgood. Judge Adam Keith, right, congratulates Judge Robert Hobgood upon retirement as the longest serving superior court judge in the state. Judge Robert Hobgood, second from left, is surrounded by court reporters, from left, Richard Jester, Annette Myers (retired) and Vicki Smith. Each was responsible for recording court sessions that Hobgood held as senior resident superior court judge in the ninth judicial district. 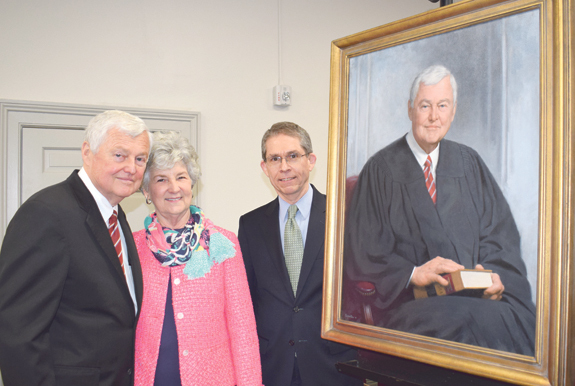 Retiring Senior Resident Superior Court Judge Robert H. Hobgood and his wife, Martha Hobgood, are shown beside Judge Hobgood's formal portrait that will hang in Franklin County Superior Court adjacent to a similar one of his father, Hamilton Hobgood. Shown with the Hobgoods is Tom Edgerton, the artist from Greensboro, who painted the lifelike portrait. 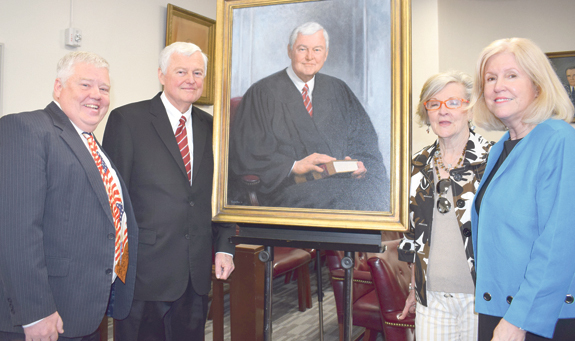 The portrait was unveiled by Hobgood's grandson, Chadwick McCrary Hobgood.